Prepared from Immigration officers interview experinece and top Immigrations lawyers inputs .Also by my own experience . I have got my Green Card and H1B work visa years ago. You have to answer sixteen out of the 20 questions correctly to pass the test. ... 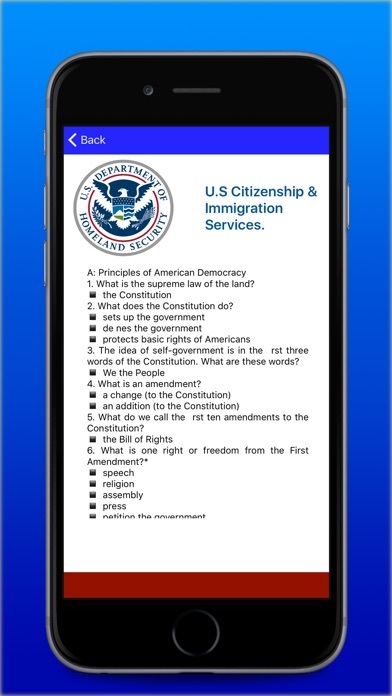 Immigrants applying for U.S. citizenship must answer 16 out of the 20 questions correctly in order to pass the naturalization test. 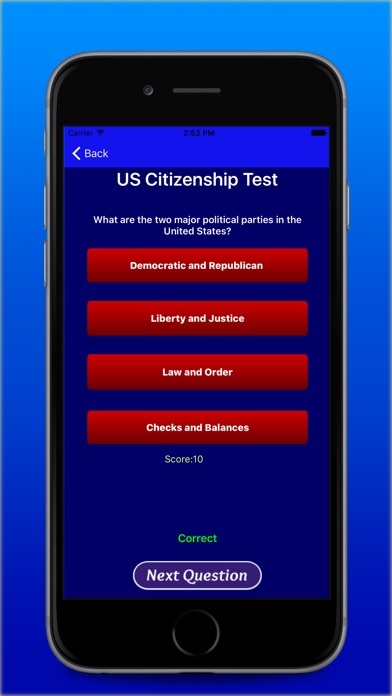 This app has 20 questions pulled directly from that test, which will help you to pass it. So thats like a 5 cent per question. You decide if it's worth. Good Luck! I myself have gone through these phases as an immigrant to the US so it comes from my in-depth experience and knowldge gained over the years . 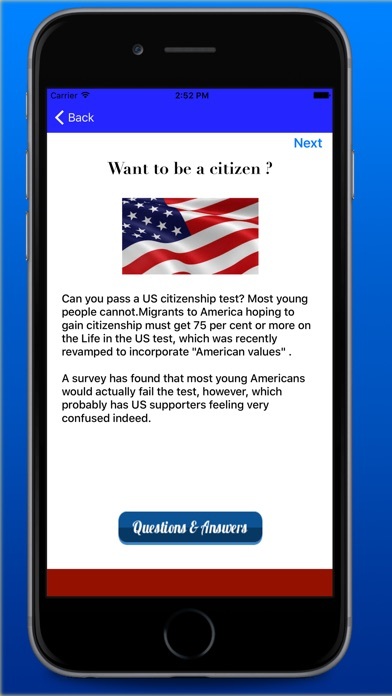 Spend a dollar on this App and make thousands when you get into USA. God Bless!